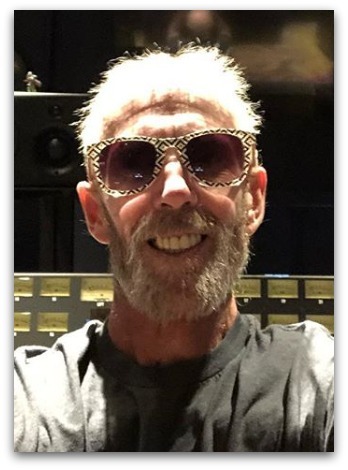 Sandy Bodecker — a Westport native who rose to some of the highest and most influential positions at Nike — has died. He was 65. 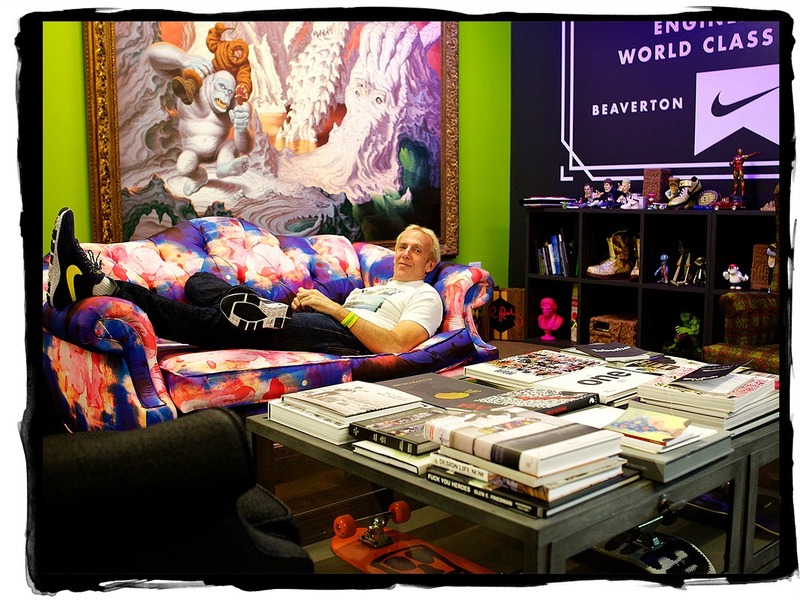 Of all of the endeavors that he pioneered for the Swoosh, none is as game-changing as Nike Skateboarding, a renegade division the he presided over since 2002. It was his vision that allowed the skate community to open up to the industry giant, and from there, the rest is history. His take on the classic Dunk, reinvented with fat tongues and Zoom Air cushioning, paved the way for collaborations with Supreme and Zoo York as well as colorways by the pros, all of which sparked a niche that played one of the biggest roles in the creation of sneaker culture as we know it today. It’s no coincidence that Sandy’s roles at Nike coincide with the success of that respective concentration. Originally a product tester, Bodecker went on to lead the brand’s first Global Football business and later started the Action Sports category while serving as its first head of Global Design. His most recent hallmark is BREAKING2 and the mission to complete a sub-2 hour marathon; he’s been obsessed with it for years as he has 1:59:59 tattooed on the inside of his left wrist. From the BREAKING2 initiative came the brand’s current arsenal of Vaporfly and Zoom Fly running footwear. He joined the sportswear giant in 1982, and rose to drive “product innovation and built strong relationships and brand credibility with skate retailers, athletes and consumers,” the brand shared in a past statement on his influence. “From 1994 to 2001, Bodecker led Nike’s soccer business, building Nike … from virtually nothing to one of the company’s top categories and helping to establish global brand leadership in the sport,” Nike previously said of his experience. 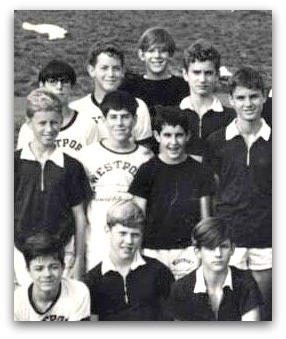 Sandy Bodecker (center rear, dark shirt) played on the Coleytown Junior High School soccer team. No word on whether the 8th grader wore Nike cleats. This entry was posted in People, Sports and tagged Nike, Nike Skateboarding, Sandy Bodecker. Bookmark the permalink. There are international tributes on Sandy’s Facebook timeline from people in all walks of life. Sandy lived nearby in junior high; he was considered one of the “cool” kids and he was a really nice guy who treated everyone well. Sandy was the oldest & last surviving Bodecker brother. Neils, the youngest, was the first to pass, followed by middle brother Torsten many years ago. Torsten was one of my dearest friends and I have many treasured mementos of our times together. Sandy was the most traditionally successful of the 3. I don’t know if he was currently married or had any offspring. But my thoughts are with the entire Bodecker family today.